Why did you come to study in India if it is not better than your country, Nigeria? Three keen followers of my blog, one Indian and two Nigerians, and whom I respect, impliedly asked me the above after reading one of my non-romantic articles on India. Yes, India is ahead of Nigeria in terms of many developmental indexes like the economy, military establishment and infrastructure. It is however ahead of it also on various other unmentionable indexes such as racism, communal clashes, maternal mortality, female foeticide and infanticide; child labour and slavery, etc. Though, mosaic as India is, you can’t, or rather shouldn’t, generalise. No hyperbole in the above comparison: each country has its good and bad sides. (52): ISLAM: A Faith Full of Prohibitions? 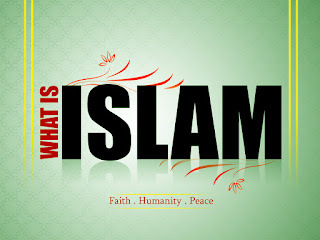 Islam and its about 2 billions adherents suffer an acute ad hominem criticism in various places in the world today. The condemnations are wide and wild. While the notorious one centres on terrorism carried out by some Muslims, dubbed extremists; a salient other one is on the many prohibitions embedded in the religion. A non-Muslim friend of mine once told me, “I can’t practice Islam. There are more ‘Noes’ than there are ‘Yeses’ in it”. I didn’t quickly affirm or snub her allegation. I instead felt the need to study the whole thing thoroughly, and so I did. Astrologists would want me to believe that June 1 is my lucky day. I will however not take them serious, as I don’t believe in that pseudoscience. But no doubt, the day stands unique in my life. At least two life-shaping incidents happened to me. First, I assumed duty as a Graduate Assistant at the prestigious BayeroUniversity, Kano in 2012. Second, exactly a year later, I got married to the lady I have always appreciated being with. For anything, the day cannot go by like other days. I think it deserves a particular remembrance and commemoration, though not in any ritualistic manner.